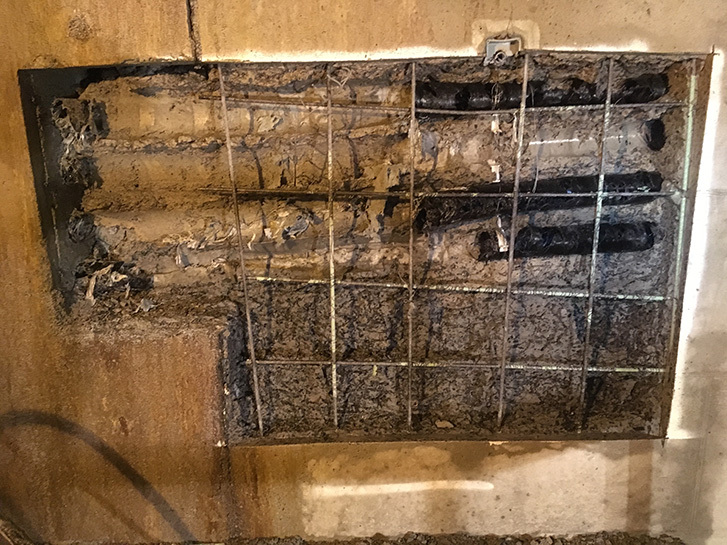 The owner had a leaking water pipe that was poured in a 5’ thick wall of an air supply vent tube located below the Ted Williams Tunnel. 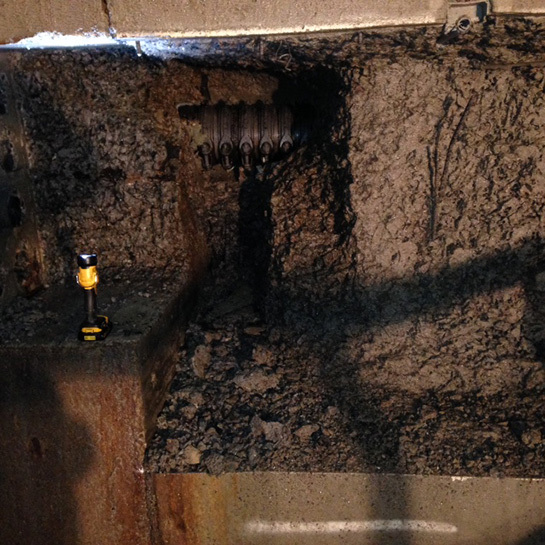 The owner needed to excavate the concrete without damaging the water pipe. AK performed hydro-demolition of the concrete with hand held guns. 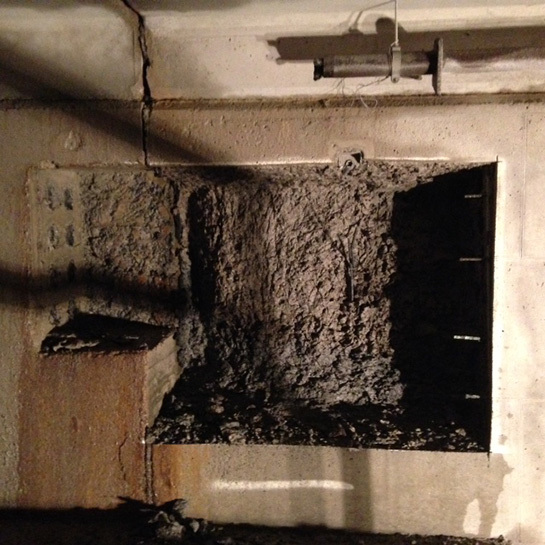 AK was able to remove (3) 6’ x 6’ x 5’ deep sections of the concrete wall to expose the leaking pipe. This enabled the owner to repair the pipe.